In a world without public access internet – indeed, without even a World Wide Web – in 1989 the most popular sites to dial up with your modem, for the average communications enthusiast at least, were bulletin boards. 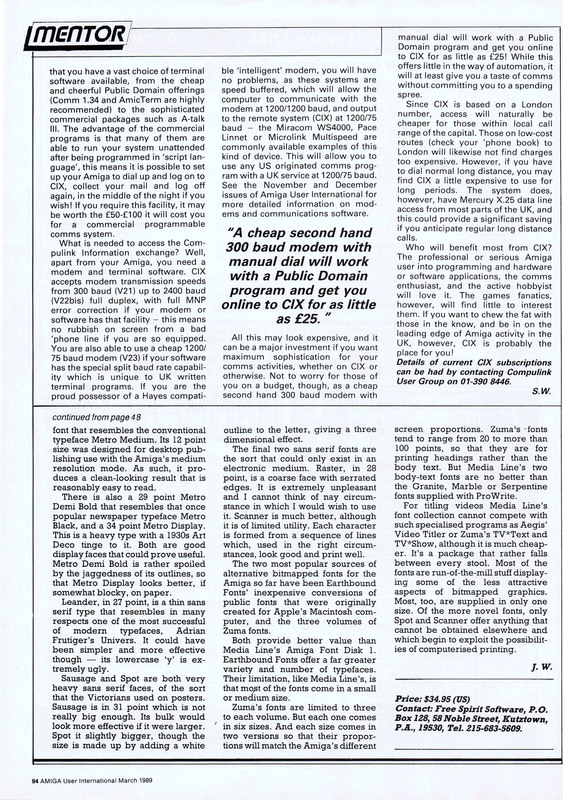 Most of these were single computer (server) operations, run by hobbyists, but some aspired to be greater and began to offer commercial services including messaging between users (internal mail) and multi-login access. 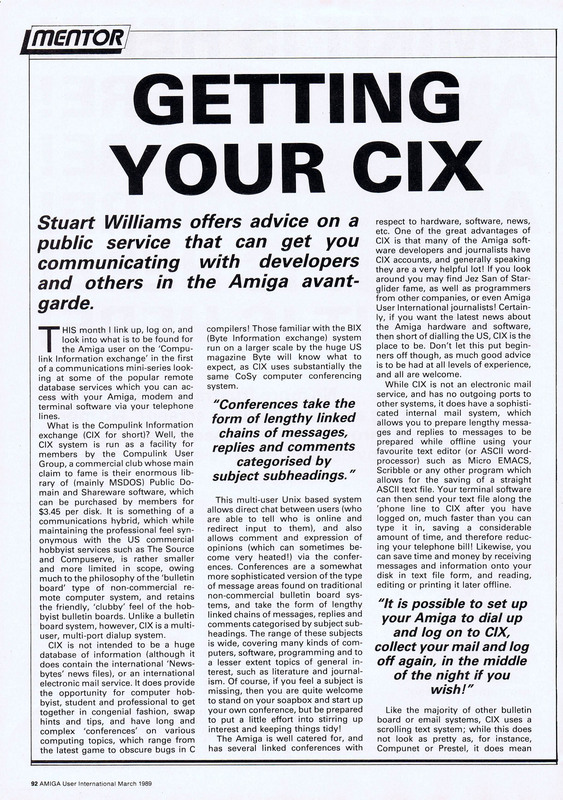 The Compulink Information eXchange (CIX) was one such, and one of my three features in the March 1989 issue of Amiga User International focused on that service. Also check under Free, Gratis for my complementary PD communications software feature in that issue.